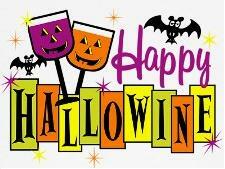 Buy Your Tickets To Our Halloween Happy Hour Wine Tasting!! Have Halloween plans on Oct 31st? Taking the kiddos Trick or Treating? Heading to a Halloween Party? We also have another “Trick or Treat” for you! We are offering you the chance to buy an Early Bird Price Ticket for our next Social Wine Education – Beaujolais Release Party on Thursday Nov 17th (same location). Early Bird price is $15* a ticket. After, the price will be $20* online or $25 at the door, so buy now! And remember to bring $$ with you, if you like a wine you taste, you can buy it at the event. The tickets can be bought from the Eventbrite hosted screen below or you can visit the Halloween Happy Hour Eventbrite ticket purchase page directly. Either way, buy your ticket and come out and join us for Halloween Happy Hour! Next Next post: Let’s Talk Showstopper(s)!